Interest in where the food we eat comes from is growing. ‘Eat local’ and the 100-Mile Diet are phrases that are commonplace. The impact of what we eat and how it made its way to the end of our fork has become something more people are thinking about. It is by no means a simple topic, but there are ways people are making changes – and there are both small and large steps that can be taken. From growing your own little urban vegetable garden, joining a CSA (community shared agriculture), choosing a diet that treads lightly on the earth, or shopping at your local farmer’s market, these are just a few ways people are making a difference. Ten years ago, Michael Pollan confronted us with this seemingly simple question and, with The Omnivore’s Dilemma, his brilliant and eye-opening exploration of our food choices, demonstrated that how we answer it today may determine not only our health but our survival as a species. In The Pollan Family Table , Corky, Lori, Dana, and Tracy Pollan invite you into their warm, inspiring kitchens, sharing more than 100 of their family’s best recipes. For generations, the Pollans have used fresh, local ingredients to cook healthy, irresistible meals. Also check out Cooked, and Food Rules by the same author. Beyond what we already know about “food miles” and eating locally, the global food system is a major contributor to climate change, producing as much as one-third of greenhouse gas emissions. How we farm, what we eat, and how our food gets to the table all have an impact. 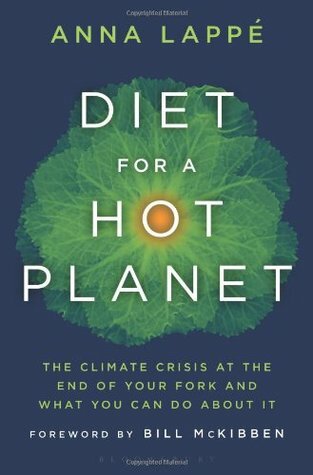 Diet for a Hot Planet answers the question of “why local’, and also gives practical suggestions on how individuals and communities can take action. Access to local food is becoming increasingly more accessible as farmers’ markets spring up around the city and throughout the province. The ability to know where your food is from and who grew it, paired with the added benefits of eating food in season and at peak freshness, make farmers’ markets an invaluable resource. Today, the average item of food travels over a thousand miles before it lands on our tables. It is a remarkable technological accomplishment, but it has not proven to be healthy for our communities, our land or us. 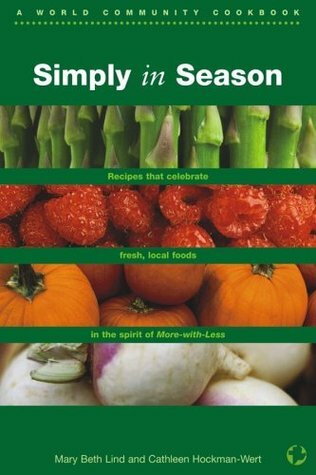 Through stories and simple whole foods recipes, the authors of Simply in Season explore how the food we put on our table impacts our local and global neighbors. They show the importance of eating local, seasonal food–and fairly traded food–and invite readers to make choices that offer security and health for our communities, for the land, for body and spirit. 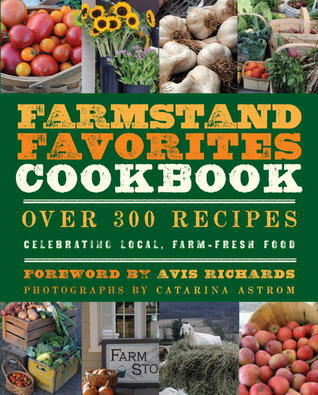 With over 300 easy-to-prepare recipes featuring local produce such as apples, pumpkins, berries, tomatoes, garlic, honey, maple syrup, cheese and other dairy products, The Farmstead Favorites Cookbook is the ultimate source for the freshest recipes to pair with fresh food. Readers will learn how they can reap the benefits of locally-grown foods that provide healthy nutrients for their families, as well as a connection to the earth and local communities. Ever wondered what its like for the farmers that grow our food? Dreaming for years of living off the land, I have almost always had a Wendell Berry book on my bedside stack. 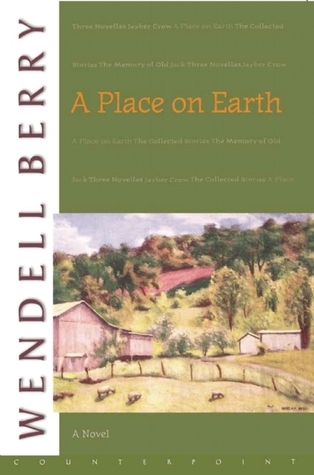 From Fidelity , a series of five short stories, to the novel, A Place on Earth, Berry exquisitely paints a picture of life in a farming community, and the relationship of individuals to one another and to the land. Single, thirtysomething, working as a writer in New York City, Kristin Kimball was living life as an adventure, but she was beginning to feel a sense of longing for a family and for home. When she interviewed a dynamic young farmer, her world changed. Kristin knew nothing about growing vegetables, let alone raising pigs and cattle and driving horses. But on an impulse, smitten, if not yet in love, she shed her city self and moved to five hundred acres near Lake Champlain to start a new farm with him. The Dirty Life is the captivating chronicle of their first year on Essex Farm, from the cold North Country winter through the following harvest season–complete with their wedding in the loft of the barn. Did you grow up with the story that the appendix doesn’t matter and we have no idea what it does? Spoiler: we do know and it is rather useful. There are certain things I used to think – or not think — about the gut. Firstly, and probably most telling of all, is that I didn’t even realize that the colon is actually just another name for your large intestine. This was my starting point on gut-related knowledge when in early January I launched myself headfirst into The Psychobiotic Revolution by Scott C. Anderson. Now, at the beginning of May, I could regale you with torrid tales of just exactly how your food makes its way from teeth to tush. While that, I’m sure, would make for a scintillating blog post all on its own, instead I will share with you the book titles that got me started on my adventures in treating my chronic anxiety and depression with the cheapest, readily available medicine: real, good food. The title of this book won me over right away. The concept of your gut acting as a second brain? Sign me up! Anderson, a science journalist, is joined in this book by two medical researchers who are actively studying the brain-gut connection and all those tiny little microbes that live within your belly. Written for the lay person, this is an immensely readable, often humourous, introduction to this new branch of science exploring the relationship between our diet and chronic conditions like mood disorders, autism, diabetes, Alzheimer’s, and more. The sheer number of microbes (AKA bacteria AKA your fellow travelers on this crazy roller coaster we call life) that reside within our guts is staggering: they outnumber our own cells by more than 10 to 1! Anderson also includes reviews of probiotic products and explores the foods that best feed the beneficial bacteria calling you home, ensuring they camp out in your belly for as long as possible and crowd out potential pathogens by lighting up tiny little NO VACANCY signs. If you liked this title you can also try Brain Maker: the power of gut microbes to heal and protect your brain – for life by David Perlmutter, MD and The Mind-Gut Connection by Emeran Mayer, MD. I figured I was the only person ever to be interested in reading about the minutiae of how food is passed through your body but apparently not! While science journalist Mary Roach’s Gulp dates back to 2013 and provides some excellent coverage of digestion, Enders’ Gut (2015) was recently republished for 2018 and includes updated information on the science behind your second brain (your gut) and its delightfully complex microbiome. Also delightful? The strangely adorable illustrations that accompany some decidedly less-adorable subject matter. Plus, this is one title that will finally answer the question you asked your biology teacher back in middle school: what’s the deal with the appendix? Now armed with the knowledge that our gut produces around 90% of a person’s serotonin (a feel-good chemical that is often the focal point in medication used to treat depression), it is not so surprising that what we eat (and how it is used by our bodies) has a noticeable effect on our moods. This book is part cookbook, part nutritional guide providing a handy chart of foods based on their impact on your mental well-being and overall health. The chapters are divided into therapeutic themes like Steady Energy and Beating the Blues. With lots of accessible science behind the recipes this is a great title to provide a less clinical introduction to nutritional therapy. For more recipes, try Eat Your Way to a Healthy Gut by Dale Pinnock. With its matter of fact approach it calls for ingredients you may actually have on hand and the recipes don’t require you to juggle seventeen prep stations at once. Having a hard time saying “goodbye” to sugar? Try the Date, Almond and Chia Balls. After the realization that sugar was likely a big contributing factor to my own chronic conditions it was encouraging to find tales of other people trying to drop the sweet stuff from their diets. In Year of No Sugar Eve Schaub not only stops eating sugar but she somehow convinces her husband and two school-aged daughters to go along with the challenge as well. Schaub’s exploration into the world of no-sugar brings up some very familiar territory for me regarding the limitations of using bananas and dates to sweeten everything and just how far one is willing to go to find sweetness in a refined-sugar-less existence. This last title is the one currently on my side table: Food: what the heck should I eat? by Mark Hyman, MD. If you’re as confused as I was about all the incongruous studies being published about food – okay, are eggs good or bad? Does all meat really raise your risk of cancer? Wait, drinking cow’s milk causes osteoporosis?! – this book takes a hard look at the scientific food studies past and present and sifts out the accuracies from the inaccuracies. Slightly irreverent, Hyman calls his preferred diet “pegan” — a cross between two contradictory diets (vegan and paleo) – and it focuses on whole, anti-inflammatory foods that don’t mess around with your blood sugar. Having this title on hand to get a level-headed look at what you’re about to put into your body is immensely helpful. All this newly acquired knowledge of microbiomes (food cravings are actually those billions of little beasts living in your gut whispering to your brain about what they’d like to eat), the processes of digestion, how this all affects your mood, and just how to go about getting those systems firing on all cylinders can seem overwhelming. Changes to your daily routine are hard to make and it helps to go a bit at a time rather than dive in headfirst. Read one book, maybe two and see where they might lead you. Have you made any changes to your diet lately? Let me know what you’ve been reading — or eating! Every year, the Library Board of the Winnipeg Public Library organizes “Books 2 Eat,” a fabulous edible art exhibition. This year’s Books 2 Eat will take place on Saturday, April 16 at the Millennium Library. Love books and/or food? You’re invited to create an edible piece of art! The only two essentials are that your creation must be: made entirely of edible materials, raw or cooked; and fall under this year’s broad theme of “poetry” to celebrate National Poetry Month. How you choose to interpret the rules is part of the fun! Visit the Books 2 Eat website, fill out an online entry form, and email it to Books2Eat@winnipeg.ca. The deadline to submit an entry form is coming up on Monday, April 11. Of course, your edible creation doesn’t have to be dropped off at the Library until April 15 or 16. But there’s lots more to enjoy at Books 2 Eat, even if you aren’t tempted to try your hand at edible art. Think you can hunt down food-related clues through all four floors of the Millennium Library? Kids and teens can pick up a smorgasbord scavenger Hunt sheet at the Children’s Desk and find out! Hand in your answers (right or wrong) by 3 pm and you’ll be entered in a draw for prizes. Browse through a buffet of snack-sized displays! Watch cooking techniques demonstrated and try your hand at food-related crafts and activities from 12 to 3 pm. And, of course, you can feast your eyes on a buffet of Books 2 Eat creations and enter a draw for a chance to take one of the edible artworks home. Join emcee Chrissie Troy to find out who the scavenger hunt champions and the lucky winners will be. Still hungry? Check out our website for more details. Summer is upon us and with warmer weather my thoughts turn to good food and reading on the patio. There is nothing more exquisite than relaxing in the sun with a crisp, cool glass of Riesling or a chilled lager and reading a book while your dinner cooks slowly on the barbecue. With this in mind, I offer up some pairings for your literary and gastronomic enjoyment. Julia Child is one of the best known television chefs and one of the first to bring French cooking into the homes of everyday North Americans. 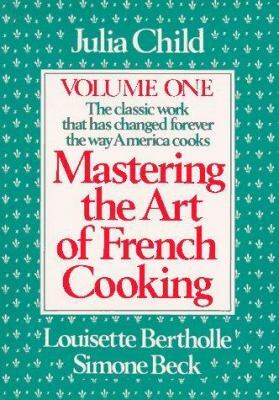 In 1961, she published, along with Simone Beck and Louisette Bertholle, the first volume of Mastering the Art of French Cooking and volume two in 1970. These marvelous books provide detailed instruction on how to prepare classic French dishes from beginning to end. 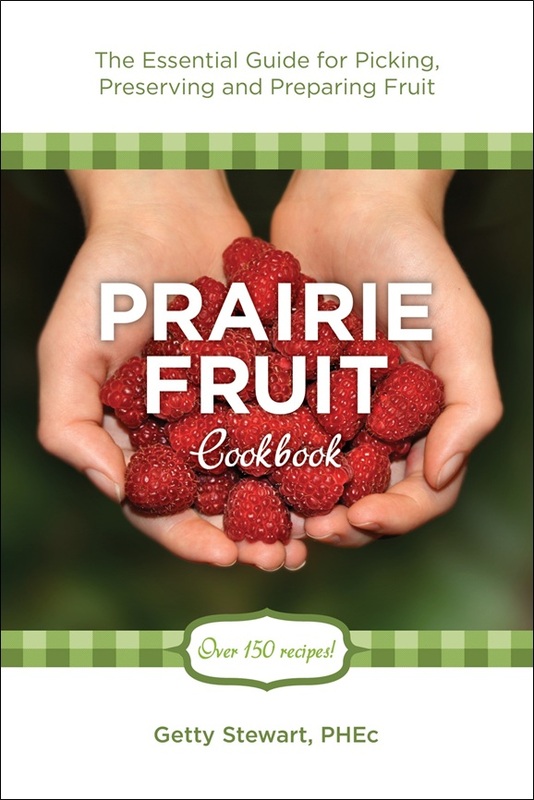 The book also offers instruction on kitchen equipment and knowledge of ingredients. Julia also had a long running (1962-1973) TV series called The French Chef in which she prepared many of the recipes from her books. 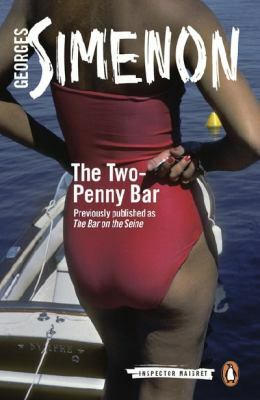 To accompany your French dining experience I suggest pairing with the novel The Two-Penny Bar by Georges Simenon. Inspector Jules Maigret is a fictional French Inspector with the Paris Constabulary. Always with a pipe in mouth and hat on head, he roams Paris, France and sometimes Holland solving various crimes. While on his sojourns he takes time to sit down for a meal or drink whether it is oysters and white wine or a beer from a local pub. Just before leaving for his holiday, Maigret visits a condemned man who tells him of a murder he witnessed six years before. He also tells Maigret of a bar the murderer liked to visit. This sets Maigret off on a chase that will have him meet an Englishman, haberdasher and coal merchant. Traveling back across the Atlantic to our own yards, the barbecue is a versatile and fun way to prepare a summer meal. 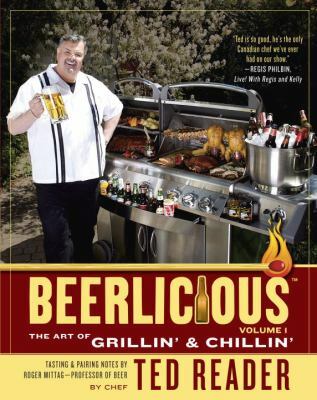 For those carnivores among you, I offer Beerlicious: The Art of Grillin’ & Chillin’ by Ted Reader. GQ magazine calls Reader the “Crazy Canuck BBQ Kingpin”. Each dish in his book is either paired or prepared with a good quality beer that adds flavour to or accentuates the dish as you eat. Try the Brooklyn Lager BBQ smoked pulled pork with green apple slaw. 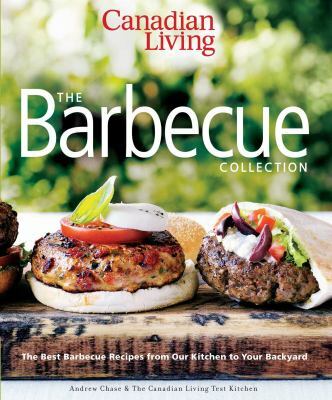 If essential roughage is more to your liking, Canadian Living’s The Barbecue Collection: The Best Barbecue Recipes from our Kitchen to your Backyard and The Grilling Book: The Definitive Guide from Bon Appétit both provide an excellent selection of tasty veggie recipes. From The Barbecue Collection comes barbecued stuffed tomatoes, a delicious mixture of diced tomato, croutons, Parmesan cheese and parsley all stuffed into a hollowed out tomato. 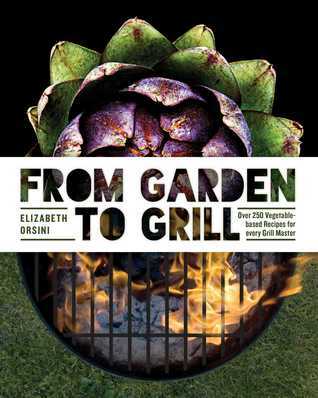 The Grilling Book will wow your taste buds with dishes like onion steaks. Thick juicy slices of Walla Walla, Vidalia or Maui onions brushed with a mixture of olive oil, Dijon mustard, honey, thyme and Worcestershire sauce. To accompany the flair of a BBQ dish, I am going to suggest a novel by Carl Hiaasen. Many of his novels usually involve the seedier underside of Floridian life and, to me, are never boring. 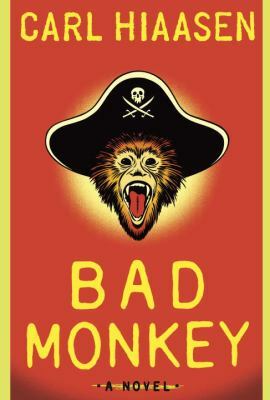 I discovered Bad Monkey by browsing the shelves looking for interesting book covers. Nothing says “read me like a monkey wearing a pirate hat on the front cover. I soon learned of a voodoo lady, really bad monkey, severed arm and former detective on roach patrol (health inspector). For the last course I have a seasonal selection that comes a little early. I recently reread Terry Pratchett’s Hogfather. I think this is one of his best and funniest novels. 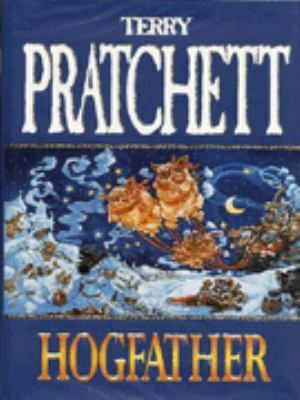 The story takes place in Pratchett’s Discworld universe and centres on the Hogfather, Ank Morpork’s version of Father Christmas. A group of beings, called the auditors, have hired an assassin, Mr. TeaTime, to inhume the Hogfather. Death, his granddaughter, and Death’s assistant, Albert, join forces to keep the Hogfather safe. 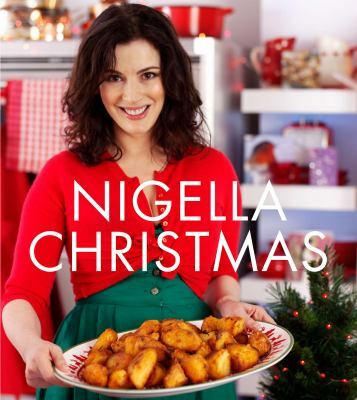 To help you with your seasonal table, Nigella Lawson’s Nigella Christmas: Food, Family, Friends, Festivities provides a wonderful array of easy and sinfully good recipes to make the season festive. Offering traditional choices such as puddings, roast turkey (my favourite), and plenty of vegetarian options, Nigella also gives advice on cooking ahead to make the holiday season a little easier. Like Julia Child’s Mastering the Art of French Cooking, the recipes are straightforward, easy to follow, and (did I already mention?) sinfully delicious. New library materials arrive every day, and it can sometimes seem overwhelming when you’re looking for something new to read. I thought I would help by putting together a list of the books I’m most looking forward to this month. Hopefully you will too. 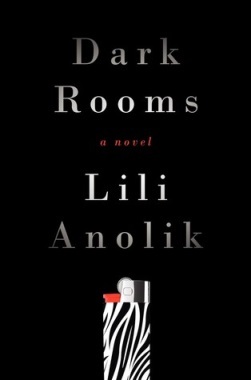 Secret History meets Sharp Objects in Dark Rooms by Lili Anolik, a stunning debut about murder and glamour set in the ambiguous and claustrophobic world of an exclusive New England prep school. Death sets the plot in motion: the murder of Nica Baker, beautiful, wild, enigmatic, and only 16. The crime is solved, and quickly – a lonely classmate, unrequited love, a suicide note confession – but memory and instinct won’t allow Nica’s older sister, Grace, to accept the case as closed. Working at the private high school from which she recently graduated, Grace becomes increasingly obsessed with identifying and punishing the real killer. 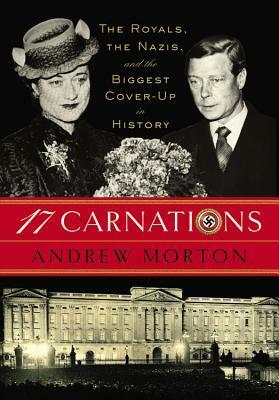 17 Carnations: The royals, the Nazis and the biggest cover-up in history, by Andrew Morton, is the story of the feckless Edward VIII, Duke of Windsor, and his wife Wallis Simpson, whose affair with Joachim von Ribbentrop embroiled the duke in a German plot to use him as a puppet king during their takeover of the British Empire. The Duke’s collaboration with Hitler had resulted in piles of correspondence between them; this damning correspondence could forever tarnish the reputation of the royal family. For the first time in history, the story of the cover-up of those letters, starting with a daring heist–by order of Churchill and the King–to bring the letters back safely to England, out of American hands is revealed. 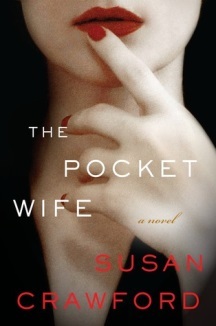 Susan Crawford makes her debut with The Pocket Wife, a stylish psychological thriller. Dana Catrell is shocked when her neighbor Celia is brutally murdered. To Dana’s horror, she was the last person to see Celia alive. Dana’s mind is rapidly deteriorating. Suffering from a debilitating mania, the by-product of her bipolar disorder, she has holes in her memory, including what happened when she saw Celia the day of the murder. As evidence starts to point in her direction, Dana struggles to clear her name before she descends into madness. Dana couldn’t be the killer. Or could she? 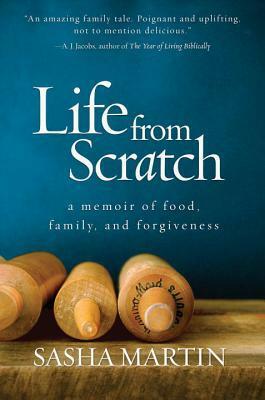 Life from Scratch: A memoir of food, family, and forgiveness is a culinary journey like no other. Over the course of 195 weeks, food writer and blogger Sasha Martin set out to cook – and eat–a meal from every country in the world. As cooking unlocked the memories of her rough-and-tumble childhood and the loss and heartbreak that came with it, Martin became more determined than ever to find peace and elevate her life through the prism of food and world cultures. Martin’s heartfelt, brutally honest memoir reveals the power of cooking to bond, to empower, and to heal – and celebrates the simple truth that happiness is created from within. 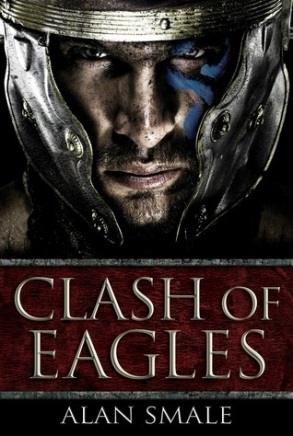 Clash of Eagles by Alan Smale is perfect for fans of military and historical fiction–including novels by such authors as Bernard Cornwell, Naomi Novik, and Harry Turtledove. This stunning work of alternate history imagines a world in which the Roman Empire has not fallen and the North American continent has just been discovered. A legion under the command of general Gaius Marcellinus invades the newly-discovered North American continent. But Marcellinus and his troops have woefully underestimated the fighting prowess of the Native American inhabitants. When Gaius is caught behind enemy lines and spared, he must re-evaluate his allegiances and find a new place in this strange land. 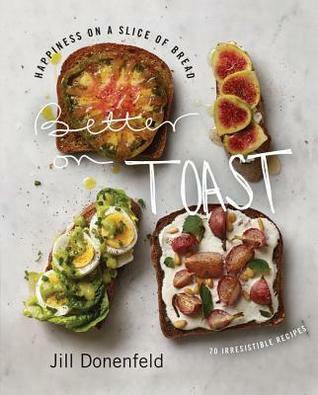 Better On Toast: Full meals on a slice of bread—with a little room for dessert, by Jill A. Donenfeld, features delicious, quick, easy-to-follow recipes for toasts with every possible topping – from hot to cold and savoury to sweet. Anyone can make delicious toasts, no matter his or her level of experience or kitchen size. Whether you use thick-cut French bread, slices of whole wheat, or her gluten-free bread recipe, Jill puts emphasis on flavour, using quality, wholesome ingredients to make each recipe stand out. You can enjoy these elegant yet simple meals anytime and for any occasion, using classic ingredients in new ways and playing with interesting ingredients you’ve always wondered about. 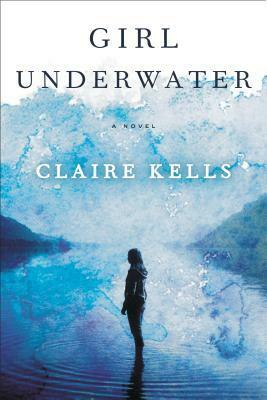 Girl Underwater, by Claire Kells, sees college student Avery is on her way home to Boston for the holidays with some fellow members of her swim team. When their plane goes down in a Colorado mountain lake, she and the other four survivors fight to stay alive in an icy wilderness. Following their rescue, Avery must come to terms with the crash, the secret she is keeping, and some specific new phobias, such as airports and water. She is also torn between two men: boyfriend Lee, who wasn’t aboard the plane and doesn’t know how to help her; and teammate and fellow survivor Colin, who understands the trauma she endured. Skillfully interspersing flashbacks with current events, debut novelist Kells has written an absorbing tale that will grip anyone who enjoys survival stories or psychological dramas. It is also a great choice for readers looking for new adult fiction with a bit more adventure. 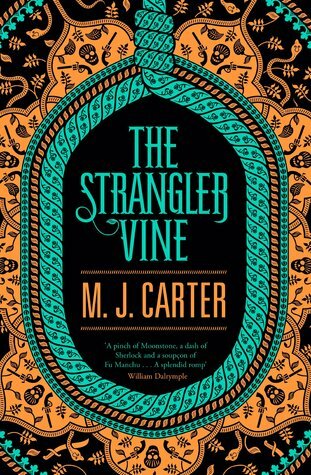 The Strangler Vine by M.J. Carter was longlisted for the Bailey’s Women’s Prize for Fiction. This dazzling historical thriller is set in the untamed wilds of 19th-century colonial India. William Avery is a young soldier with few prospects; Jeremiah Blake is a secret political agent gone native, a genius at languages and disguises, disenchanted with the whole ethos of British rule, but who cannot resist the challenge of an unresolved mystery. What starts as a wild goose chase for this unlikely pair – trying to track down a missing writer who lifts the lid on Calcutta society – becomes very much more sinister. 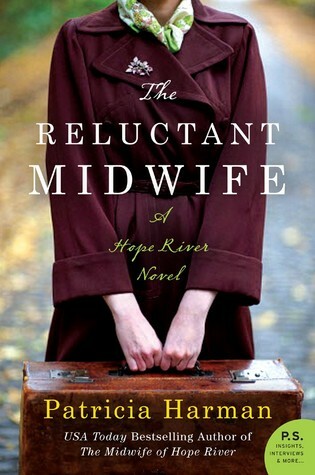 The Reluctant Midwife by Patricia Harman is the heartfelt sequel to Midwife of Hope River. The Great Depression has hit West Virginia hard. Men are out of work; women struggle to feed hungry children. Luckily, Nurse Becky Myers has returned to care for them. While she can handle most situations, Becky is still uneasy helping women deliver their babies. For these mothers-to-be, she relies on an experienced midwife, her dear friend Patience Murphy. But becoming a midwife and ushering precious new life into the world is not Becky’s only challenge. Her skills and courage will be tested when a calamitous forest fire blazes through a Civilian Conservation Corps camp. 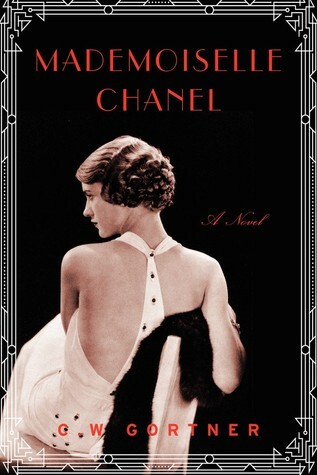 For readers of Paris Wife and Z comes Mademoiselle Chanel by C.W. Gortner, a vivid novel full of drama, passion, tragedy, and beauty that stunningly imagines the life of iconic fashion designer Coco Chanel. Born into rural poverty, Gabrielle Chanel and her siblings are sent to orphanage after their mother’s death. The sisters nurture Gabrielle’s exceptional sewing skills, a talent that will propel the willful young woman into a life far removed from the drudgery of her childhood. Transforming herself into Coco, the petite brunette burns with ambition, and an incandescence that draws a wealthy gentleman who will become the love of her life. $10 Dollar Dinners claims you can make a 3-course meal for four, for $10. This book contains good, basic ideas like “clear the pantry week” or freezing squeezed lemon halves to zest at another time. The Kale chips are simple and surprisingly addictive and the Corn and Black Pico was pretty good, with the addition of some jalapeno and garlic. Shelley spent a Sunday making several recipes from Keepers and then freezing individual dishes for lunches. “It was a lot of fun and I found a few ‘keepers’ and I have a few more I intend to make this month.” She now finds she’s craving the flavours in the Japanese Style Meat and Potatoes. Ed enjoyed leafing through Eating Well on a Budget, which has a list of all the recipes at the beginning of each section – an excellent feature in any cookbook. It makes it much easier to sit and browse through and decide which recipes you want to try next. The soups he tried were perfect for a cold winter’s night. Anda chose The Poor Girl Gourmet because she liked the title, and she tried a couple of the recipes that were fairly easy. The author also has an interesting blog with more recipes. Virginia wasn’t impressed with $20 Meals in 20 Minutes so she decided to do what her Mom would have done. She bought a BBQ chicken from the store for $8.99 and turned it into several meals: one dinner, a couple of sandwiches, pot pies, Chicken Fried Rice and chicken broth to use for soups, gravies and bases. Very economical! Jamie Oliver’s latest cookbook, Save with Jamie, uses this same idea of cooking one “mothership” meal a week, then using the leftovers for the rest of the week. Mary tried the Sunday Brisket and her family thought it was wonderful. She did think the book could use some dessert recipes – what’s more budget friendly than home-made pie? The Quick Cook Budget Meals cookbook gives the reader three different versions of the recipes, depending on how much time you have – 10, 20 or 30 minutes. Nicole found the times weren’t very accurate, but she did like the codes, provided on each page, for their website, so you can have a recipe card or shopping list e-mailed to your phone. Jackie thought Easy One Pot: Frugal Recipes for Busy Cooks was “a very interesting cookbook with a diverse collection of recipes. I thought this book would be more about crock pot cooking with everyday items found in your cupboard. I do not think duck, lamb, saffron threads, baby leeks fall under the heading of frugal ingredients.” Despite this, Jackie did like the cookbook and was planning on trying more of the recipes. Audrey liked that Eat Cheap, But Eat Well did use ingredients that you would have in your home or would be easy to find at a grocery store. The recipes were also basic and easy to prepare. We all enjoyed the challenge of cooking on a budget in January and are looking forward to a bit of indulgence for our February meeting – chocolate! “Venite ad me, omnes qui stomacho laboratis, et ego restaurabo vos“. Translation: “Come to me, whose stomach screams in misery, and I will restore you.” Motto on the door of the first restaurant, Paris 1765. It seems strange to think that there was a time without restaurants in either America or Europe until a certain Roze Boulanger opened his business in pre-revolution France. There were taverns that served alcohol, and inns where clients could expect a meal prepared by the innkeeper served at a common table, but no menu selection was available, nor was it offered all day. There indeed was no establishment that served selected cooked meals to their clientele. The term “restaurant” itself used to mean a broth of concentrated meat juices that was prescribed to restore one’s strength (hence the origin of the name). Mr Boulanger had to fight in court for his right to serve meat (forbidden at the time unless you were member of a guild) as part of a variety of dishes available to the public in his establishment, but others quickly opened their own “restaurants” and the rest is history. I discovered this by reading The invention of the restaurant: Paris and modern gastronomic culture by Rebecca Spang, which tells of the evolution of the early history of restaurants, and of the concept of gastronomy (fancy eating) as a new facet of popular culture. Something that was once the realm of aristocracies and their personal kitchens became available to the emergent bourgeoisie, and eventually to everyone. Canada is not exactly the most high-profile country as far as haute cuisine is concerned, but we have carved our own unique niche in the gastronomy and hospitality business. Canadians at table : food, fellowship, and folklore: a culinary history of Canada by Dorothy Duncan covers the entire length of Canada’s history with food, starting with its first European settlers’ attempt to adapt their food habits to a new world with First Nations’ practices (most notably pemmican), and to integrate local plants and fauna into their diets. In addition to providing glimpses at what Canadians ate and how it evolved to the present day, the book covers topics like the importance of public markets for new settlers, the proliferation of cookbooks written by organizations for fundraising, and the history of local supermarkets and restaurant chains that became national brands. Restaurant menus from different eras give readers an idea of what Canadians’ experience of eating out involved. For those in the mood for a lighter read, You gotta eat here! : Canada’s favourite hometown restaurants and hidden gems is all about the lesser known but still excellent local restaurants and diners all over the country, including some in Winnipeg, which are worth discovering when you visit. The book includes recipes of favourites from each establishment and fun descriptions of the author’s eating experiences. The book has just arrived in our collection and has inspired me to try out “maple fried oatmeal.” Also, kudos to the authors for including Schwartz’s Deli, a Montreal institution. On a more local note, Russ Gourluck’s books about Winnipeg’s North End neighborhood and Portage Avenue contain many stories about popular local eateries, some no longer in existence, but others who are still very much part of the city’s popular attractions. If you are looking for the best places to eat in the whole world, if you want to REALLY eat out, there is a book for that: Ultimate food journeys : the world’s best dishes & where to eat them. Whereas a travel guide is a book filled with information on what to see and where to stay with some recommendations on where to eat, this book is the reverse: it’s all about global gastronomy and the best places to eat with some recommendations on where to stay and sights to see. The book is gorgeously illustrated and is very thorough in its coverage of every continent. After World War II, speed – as symbolized by the automobile – became a symbol of the new modernity and restaurants adapted by introducing fast food (or, if you prefer, “good food, quickly”) and the drive-in/drive-through service. Car hops and curb service : a history of American drive-in restaurants, 1920-1960 tells the story of this trend which first appeared in California and spread to the entire continent. The book is full of great historical photographs as well as reproductions of menus and memorabilia spanning the 1920-60’s decades that preceded large fast food chains. Food trucks : dispatches and reci pes from the best kitchens on wheels deals with another aspect of the evolution of restoration: the mobile kitchens, or food trucks which serve an incredibly diverse variety of meals to a pedestrian clientele (hence the term “street food”) at affordable prices. Even though the focus is on American cities, it is worth the read for the personal anecdotes from the owners of those movable feasts. I am sure everyone has their own favourite eating-out spots, so please give suggestions, or share memories of places no longer open for business. A while ago I was telling a friend about this interesting book. It was called The Fourth Star and it was a non-fiction look at a new high-end restaurant in NYC opened by celebrity chef, Daniel Boulud. All of his restaurants up to this point received 4 stars from the New York Times, and it was almost becoming a fait accompli. But the unthinkable happened: Boulud’s restaurant was given only three stars. HORROR! The author follows Boulud around for a year and chronicles the daily life in the kitchen, the reception, the wine cellar, the dining room, etc as they go to incredible lengths to win back that coveted fourth star. I hadn’t, but soon afterwards I picked up his The Making of a Chef and was hooked. Michael Ruhlman is a journalist first. He has the greatest job in the world: he gets curious about something, he researches it, and then he turns it into a book and gets paid for it. I’m sure it’s not as easy as all that, but maybe? His curiosity led him to enroll in the Culinary Institute of America (cheekily referred to as the “other” CIA). The Making of a Chef is his account of what these chefs-in-training must go through before graduating. It’s a fascinating read, and something happens to Ruhlman part way through the year (SPOILER). He actually considers leaving journalism behind and becoming a full-time chef. He becomes so immersed in the culinary world that it takes over his life. Today, Michael Ruhlman is a well-respected culinary journalist and has written a number of worthwhile books. 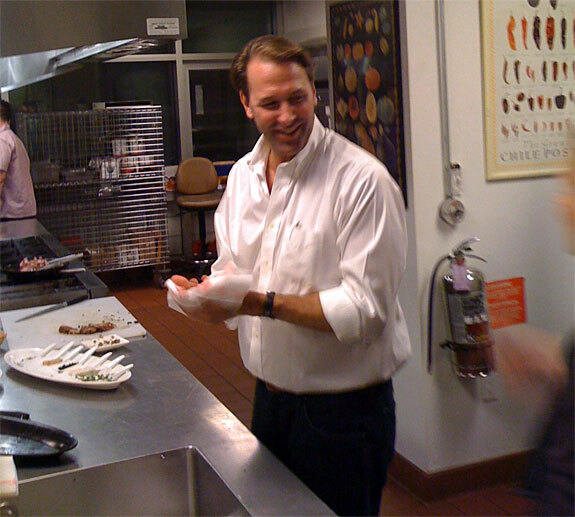 He also is a frequent tweeter and you can follow him @ruhlman if you like. He will often post recipes and offer tips and advice to his followers. A few years after writing about attending the CIA as a student, he went back to see how things had changed. He writes about this in The Reach of a Chef. He explores the way “celebrity” has been attached to so many chefs in our pop culture these days and the irony of how chefs are too busy with public appearances, product lines and signature chain restaurants that they don’t have any time to do what made them famous in the first place. In The Making of a Chef, Ruhlman first discovered the magic of the culinary ratio. It’s the idea that so many basic recipes can be remembered in terms of simple ratios. For example: Angel Food Cake=3 parts egg white: 3 parts sugar: one part flour. Or stock=3 parts water: 2 parts bones. (I could go on and on!) There is great part in the book where Ruhlman discovers one of his instructors keeps ratio crib sheets in his office and he feels like he’s stumbled upon the Rosetta Stone or something. Ruhlman investigates the mysteries of culinary ratio in his simply titled 2009 book, Ratio. Not satisfied to stay in the traditional kitchen, Ruhlman has also written a couple of books on curing meat. Chartcuterie: the art of salting, smoking and curing and Salumi: the craft of Italian dry curing. Perhaps his most traditional “cook book” is his Ruhlman’s Twenty in which he takes the reader through the 20 most common skills a chef should have, and 100 recipes that everyone should know. It’s a beautiful coffee-table style book with lots of pictures. Highly recommended. There are many things in life that are better when they happen faster. Internet connections and pizza delivery are among the first things that come to mind. But not everything is best served by a need for speed. As someone who’s started driving a car again after a long hiatus, I’ve become very conscious of speed. It’s certainly faster to take a car to a destination, but is it always the best way to go? Having spent a great deal of time on buses and on foot to get to where I want to go, I’m accustomed to puttering along at a relatively modest rate of speed. However, that rate of speed requires me to lose sleep and leave home a lot earlier to get places on time, and it’s absolutely no fun waiting for a bus in the pouring rain. Car travel is more convenient and efficient, and faster, no question. And yet there’s a good argument to make for doing things the slow way. 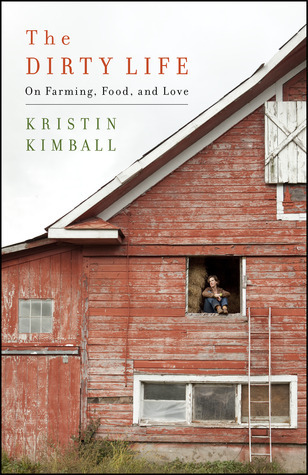 While this book focuses on small farms in California, the ideas presented can be applied anywhere. Buying fruits, vegetables and meats that are not chemically treated, and taking the time to prepare and enjoy a meal, as opposed to grabbing fast food and eating on the run, is far better for your physical and emotional well-being. And as the contributors to the book point out, making these kinds of choices on a local level can have far reaching economic and ecological impacts. Following up on the local food idea, you can’t get much more local than your own backyard or community garden plot. But gardening has its own need for speed – the race between your slowly ripening tomatoes and the weeds that threaten to overtake them. Author Felder Rushing shows even novice gardeners how to work with your garden, not race against time. In Thinking, Fast and Slow, Nobel Laureate Daniel Kahneman shares his insights into how humans think, both fast and slow, and how using only the fast track to decision making can blind us to the opportunities a slower, more reasoned approach can reveal. Fast thinking and decision making has value, certainly, but it’s not the only way to go, as I found out after (slowly) reading this book. Eric Carle is one of my all-time favourite writers and illustrators, and he uses both of those talents to great effect in this book. The speech near the end, when the sloth uses a wonderful variety of words to describe himself and how he likes to do things, is one a way of living I’d like to adopt for myself. In our modern age of haste and hurry, sometimes you just need to walk, not drive, to get to where you need to be. After losing almost everything precious in her life, Cheryl just needed to…walk. And walk she did, hiking alone through three states and over eleven hundred miles of wilderness trails. Sometimes the slow way is the only way. If you really want to get to know a city, taking a leisurely stroll is the best method. Walking tours can offer a view of buildings and places you just can’t truly appreciate from behind the wheel of a car or even while looking out a bus window. You could go on self guided tours at the Forks, or you could check out a guided tour of the Exchange District. Or how about a look at the amazing murals in the West End? You just can’t rush through experiences like that, and you’ll be amazed at what you’ll see. Ripping off a bandage. Getting an income tax return. These things are better when they’re done quickly. Keep in mind, though, that life in the fast lane will surely make you lose your mind. “Jurassic Pork,” anyone? How about “Harry Potter and the Deathly Mallows”? 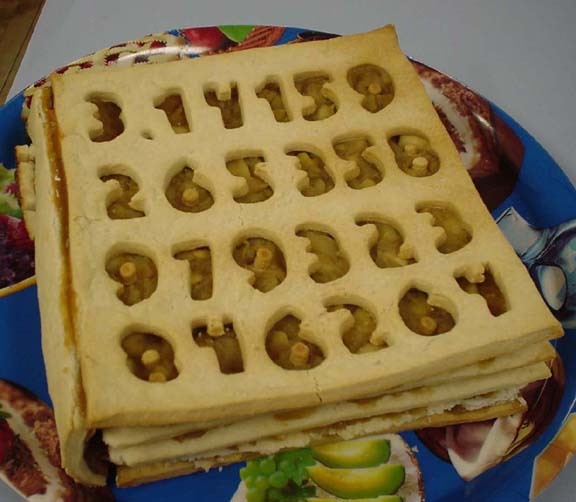 Every year on or around April 1, the worldwide Edible Books Festival invites book lovers, chefs, and anyone who enjoys a good pun to create an edible piece of art that has something to do with books. On March 31, the Winnipeg Public Library and our Library Board are holding our second annual Books 2 Eat event. 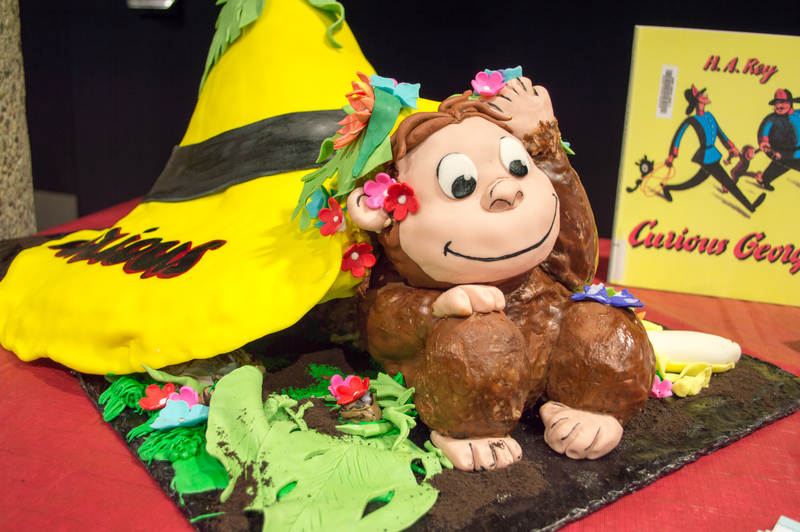 The Challenge: Your creation must be made of edible materials and be inspired by a book in some way: pun on a title, refer to a scene or character, create a book or book cover lookalike… That’s the only rule – how you choose to interpret it is part of the fun! How to Enter: Send an email with your name, phone number, email address and “book” title to Books2Eat@winnipeg.ca or mail the information to Books2Eat, c/o Reader Services, Millennium Library, 251 Donald St, Winnipeg, MB, R3C 3P5. • Enter the appropriate category: Adult, Kids (14 and under), or Professional/Culinary Schools. • The deadline to send in your entry form is March 23. • The edible entries themselves can be dropped off on March 30 or 31. • Culinary school entries will also be served at the end of the day, so bring your appetite! Talks about cooking techniques featuring local chefs plus a food-themed children’s storytime & craft circle will be going on at the same time. All of this is absolutely free and open to the public. 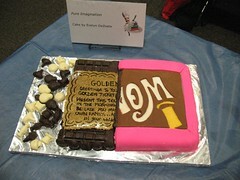 Books 2 Eat 2011 was attended by over 100 people and received dozens of entries, including this Roald Dahl-inspired cake. Check out some more photos of last year’s fabulous entries on the Library’s Flickr account, and start planning your entry today!